You are at: Home / Agora / Is Regling right to be concerned about Greek liquidity? He indicated that urgency is needed not only because of the boost to confidence that could be provided by the successful conclusion of the review but also because the Greek government’s liquidity situation will become tighter over the next few months, highlighting that Greece has debt servicing obligations of about 4 billion euros over the first quarter. We had touched upon the issue of Greek liquidity requirements in a recent blog post. The overall debt servicing requirements for the entire year do not exceed 14 billion euros, which is under 8 percent of GDP. However as we stressed a few days ago, Greece’s dependency on programme disbursements will put pressure on its finances. This is especially the case because the first review has to be concluded in a rather politically sensitive environment that requires the government to agree with the quartet of lenders additional pension savings and potentially the new Medium-Term Fiscal Strategy that will set out the coming years’ austerity measures. The total figure of IMF obligations in the first quarter is close to 1.5 billion euros. March has the largest IMF instalment of the year at 876 million. This year’s interest bill is highest in February, standing at just under 1.6 billion euros. 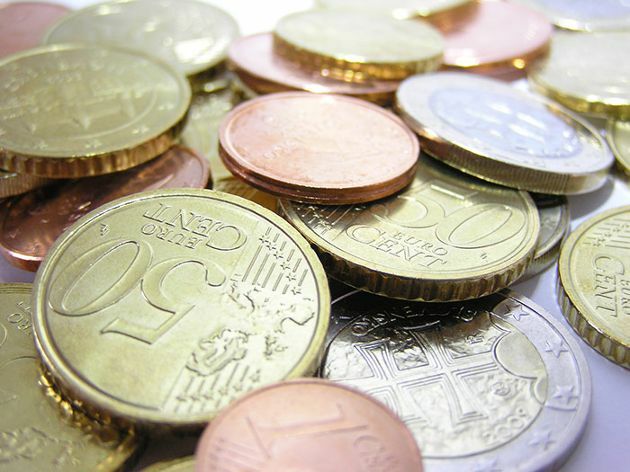 The total figure for the first two months of the year is approximately 1.7 billion euros. March interest obligations stand at 750 million, bringing the total quarterly interest bill close to 2.5 billion euros. 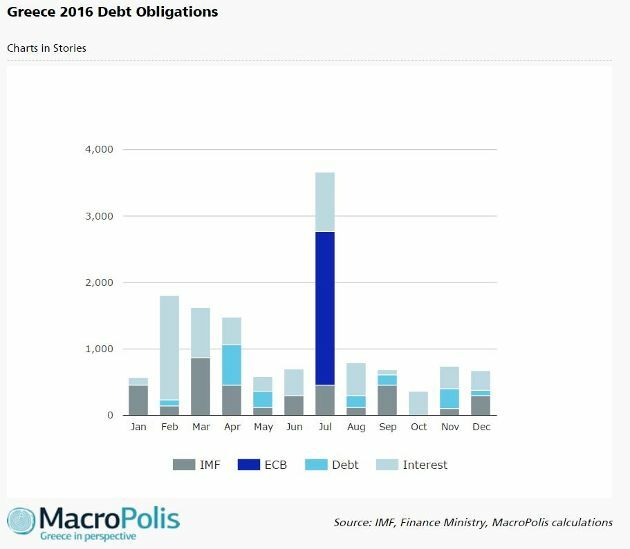 In total, over the first quarter of the year the Greek government needs approximately 4 billion euros to meet all debt obligations. The state budget foresees a primary surplus of just over 1 billion euros during the first quarter of 2016. Unless Prime Minister Alexis Tsipras resorts to the option he chose last year of repos from state-owned and related bodies, it is not in anyone’s interest to let the review slip well into spring. At some point, this disgusting display of how Greece has no longer an independent government and is ruled by an un-elected Quadriga has to stop. Regling means nothing to the average Greek voter and he can keep his opinions to himself.